Thanks for visiting the page that we have created for our Richardson, Texas residential garage door customers. This is a world class city that encompasses a great deal of real estate, and it is a thriving hub of commerce. It is a fantastic place to traverse a career path, and you can also get a good education in town, because it is the home of the University of Texas at Dallas. Property is very valuable in this affluent community, and we go the extra mile to provide top notch residential garage door installations and garage door repairs. From the Northstar Road/E. Renner Road section to Buckingham and everywhere in between, for overhead garage doors in Richardson, Texas, Complete Overhead Door is a name you can trust. You have options when it comes to garage doors, and our garage door sales specialists can and will answer all of your questions and explain the possibilities to you. 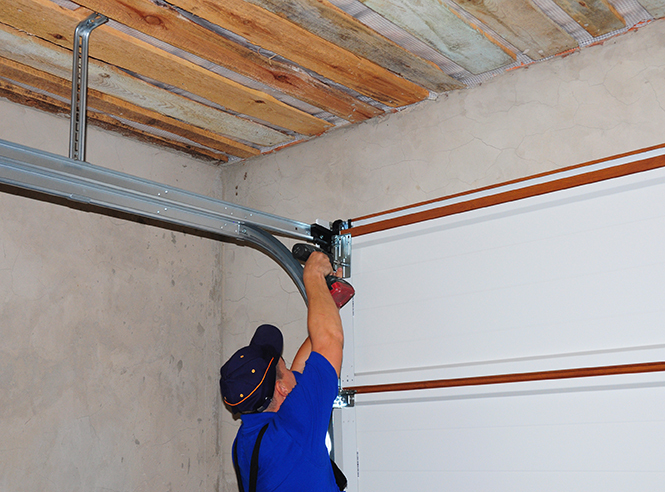 Of course, we also sell and install garage door openers. In addition to the residential garage door sales and garage door installations that we provide, we are also the go-to resource for commercial roll up doors in Richardson, Texas. We have been building our business in this area for more than 25 years, and this level of longevity is something that you have to earn through hard work and customer friendly practices. Our highly skilled, professional garage door repair technicians provide same day service, and we respond to emergencies 24 hours a day, 7 days a week. This is something that sets us apart from many other Richardson, Texas garage door repair companies. Plus, if you want us to come out and give you an estimate on a garage door repair or an overhead garage door replacement, we will do it for free. Many of our competitors charge a trip fee for this service, because they know that people will often accept high quotes because they already had to put out money for the trip charge. Contact Complete Overhead Door Right Now! If you need a garage door opener, a garage door installation, an overhead garage door repair or a garage door replacement, help is just a phone call away. You can reach one of our knowledgeable Richardson, Texas garage door consultants right now if you give us a call at 972-412-6069.